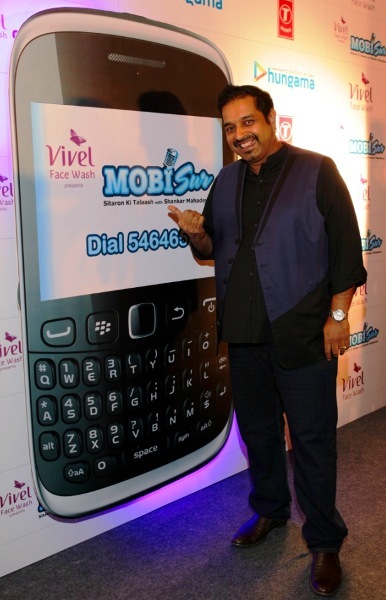 ITC’s Vivel, in partnership with Hungama Digital Media Entertainment and Indian musician Shankar Mahadevan has launched India’s first truly digital talent hunt – MOBisur. This unique and innovative mobile and internet based talent hunt promises to give every Indian an opportunity to be the next singing sensation of India. T-series is the official music partner. Participants can dial 546465 (Rs. 3 per minute), record their voice on a unique IVR. Make sure that you record in a clear voice, preferably in a closed room, with as minimal background noise as possible. Make sure that you hear your entry before you submit. You can also participate online. Contest entries are open only till 26th August, 2012. The winners of the contest will get an opportunity to record an album with Shankar Mahadevan which will be released by T Series and Hungama. They will also receive 5 lakh rupees cash prize.